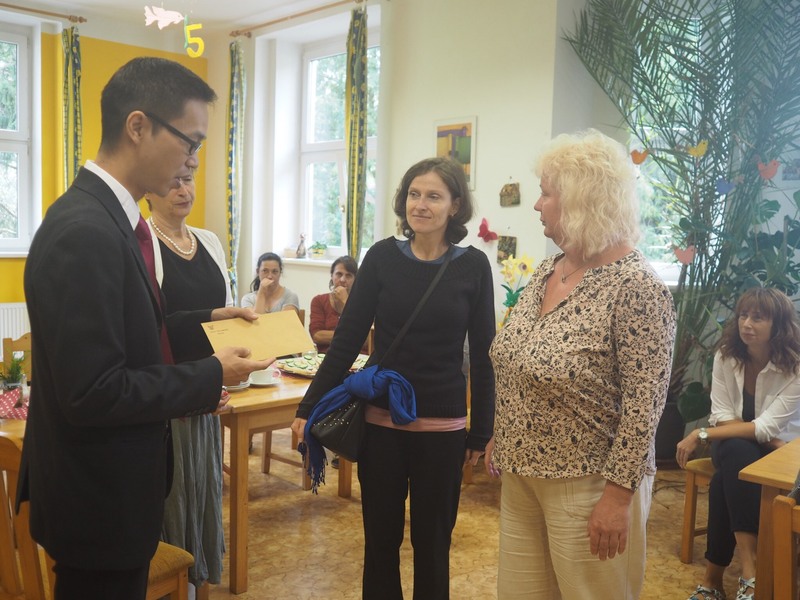 The Royal Thai Embassy visited Domov Sedlec, a daily care center for mentally handicapped people in Prague. 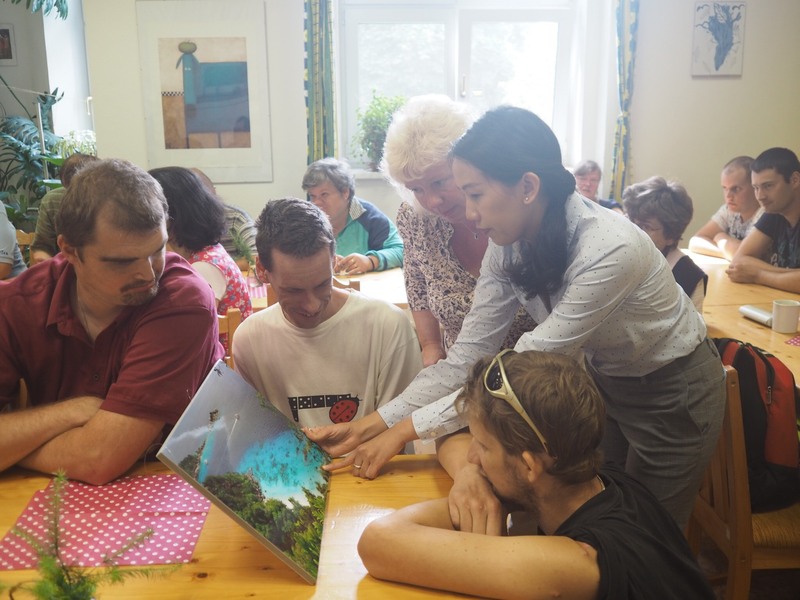 On 26 June 2018, officials and staff of the Royal Thai Embassy visited the Domov Sedlec, a daily care center for mentally handicapped adults located in Prague 6. 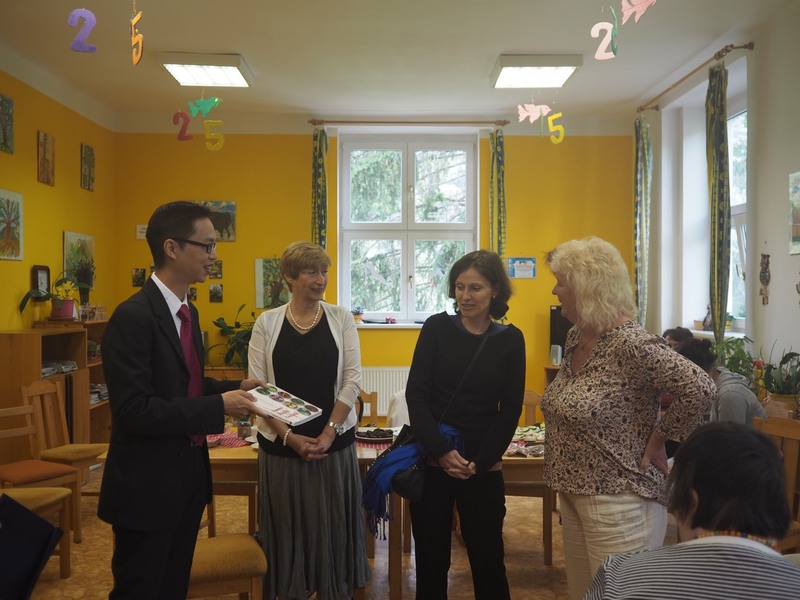 They were received by Mrs. Ivana Ambrosova, Director of the Domov Sedlec, and Ms. Milena Hanusova, Prague 6 Councillor for Social Policy and Health. 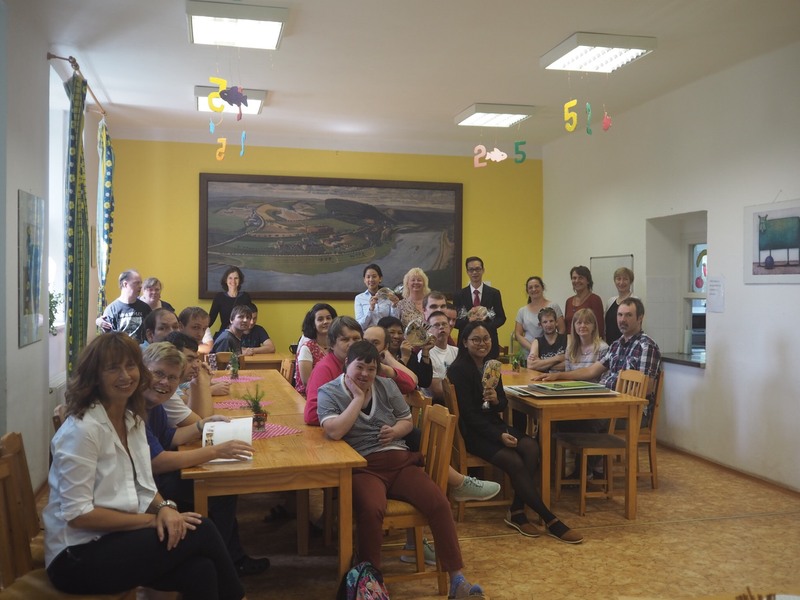 The purposes of the visit were to learn about the activities of Domov Sedlec and provide contribution from the Embassy and Mladý Kokos Company’s participation in the 3rd Edition of the Festival of Embassies: Food and Culture on 12 May 2018 organised by the Municipal District of Prague 6. 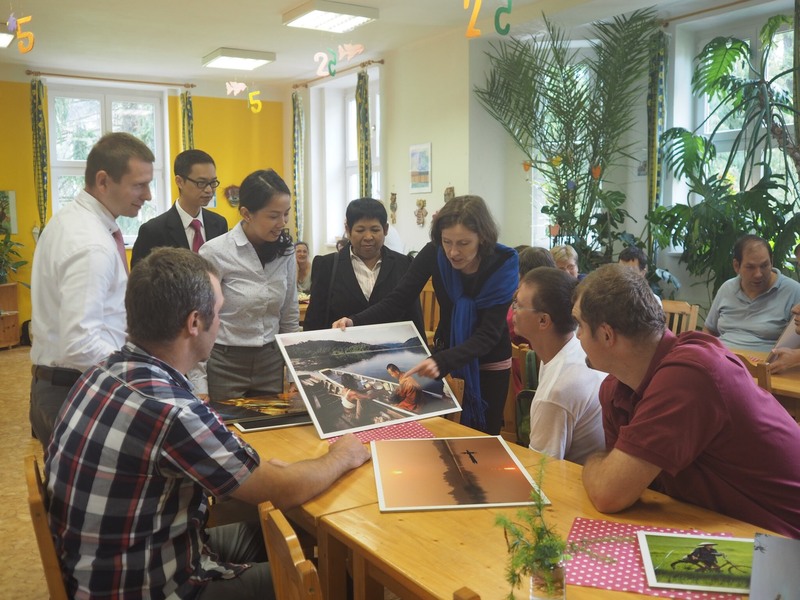 The Embassy also presented scenic photographs of Thailand to the organisation. The Domov Sedlec is a non-governmental organisation which has been in operation for 25 years. It provides education, housing and social skills to mentally handicapped adults, preparing them to be self-reliance and financially independent.